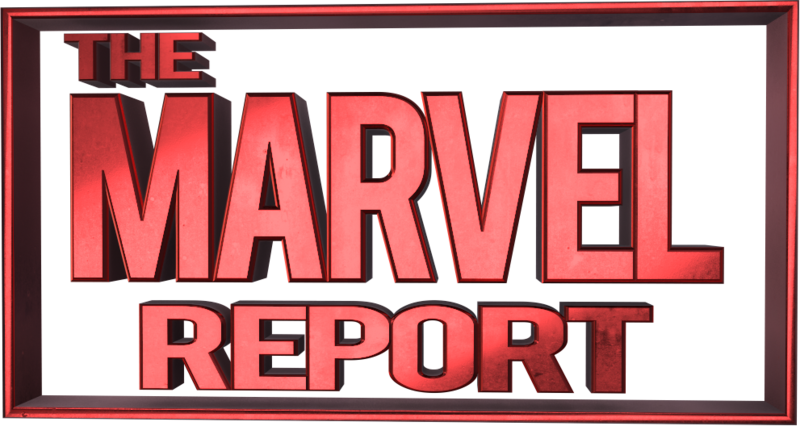 On a monthly basis The Marvel Report will be commentating on the new Marvel solicits. 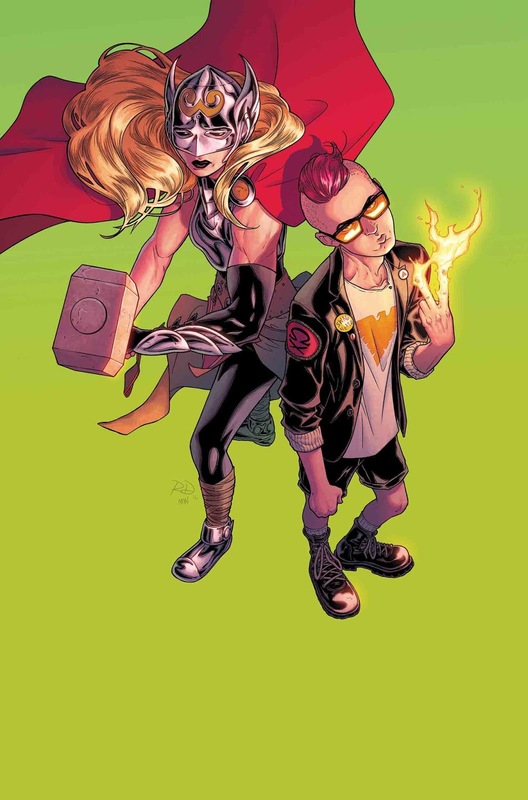 This month the Marvel Reporters will be discussing Marvel’s April solicits. Read the full solicits here on Comic Frontline. Tatiana – I couldn’t be more excited to see Ta-nehisi Coates expand the world of Black Panther even further, especially with Yona Harvey by his side. 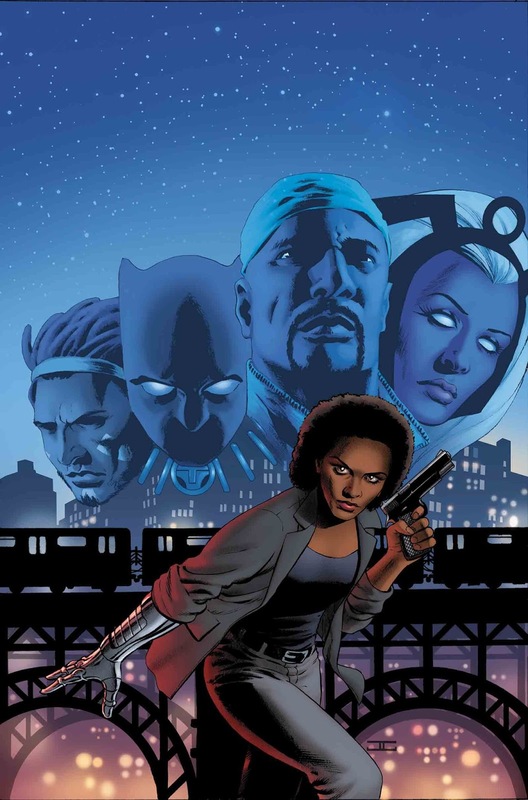 Love that we’re getting another chance to see Luke Cage and Misty Knight team up with T’Challa and of course Storm. I can’t wait to see where it goes! Jay – This team has an interesting dynamic. There are street and cosmic levels here, so I am interested to see the direction. 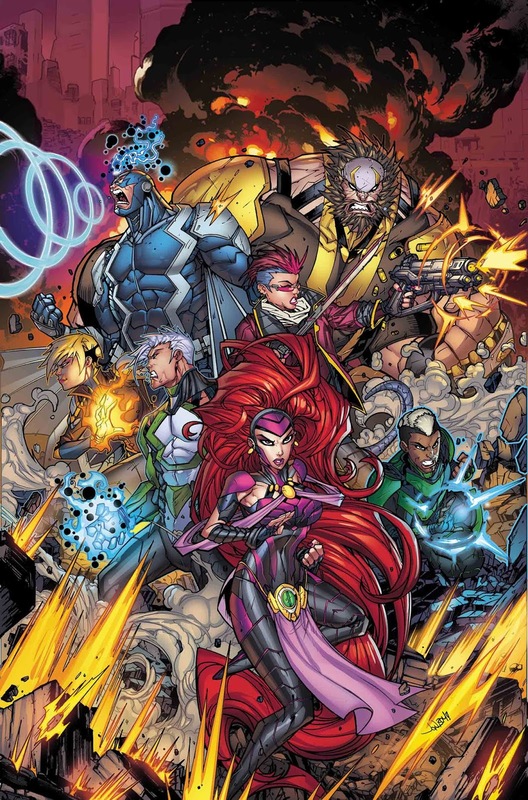 Kat – I think it was smart to condense the All-New X-Men line up to just the original X-Men characters, and it’s great to see Jean Grey in a leading role. But the big X-factor for this book is Magneto. What will the first class X-Men look like with Magneto as their teacher instead of Professor X? Tatiana – Nothing Cullen Bunn writes has let me down so far, so I’m cautiously optimistic about what the next post-event X-Men series will look like. Definitely gonna give it a go. Jay – This books has a solid premise. I love the original X-Men and teaming them with Magneto is really great, but I rather them be the older versions of them. Kat – This is one of my most anticipated comic books of the year! 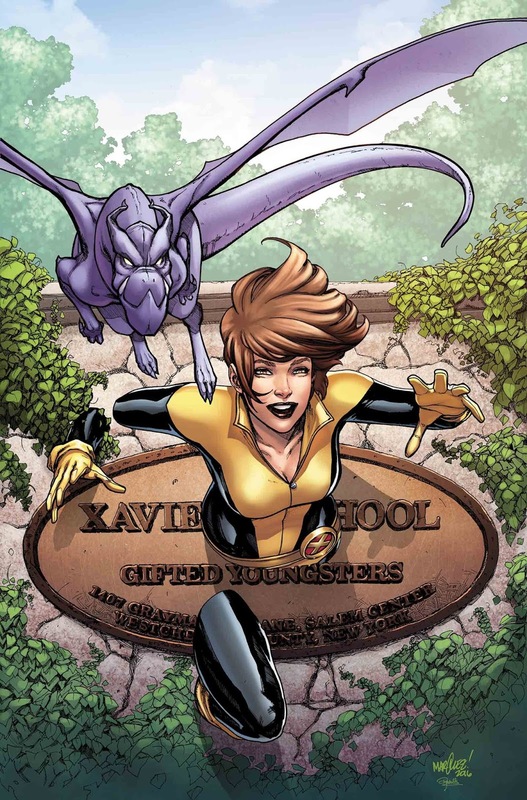 I’m a huge Kitty Pryde fan, and I love that she’s leading a team with the people closest to her. Jennifer – It’s finally here! 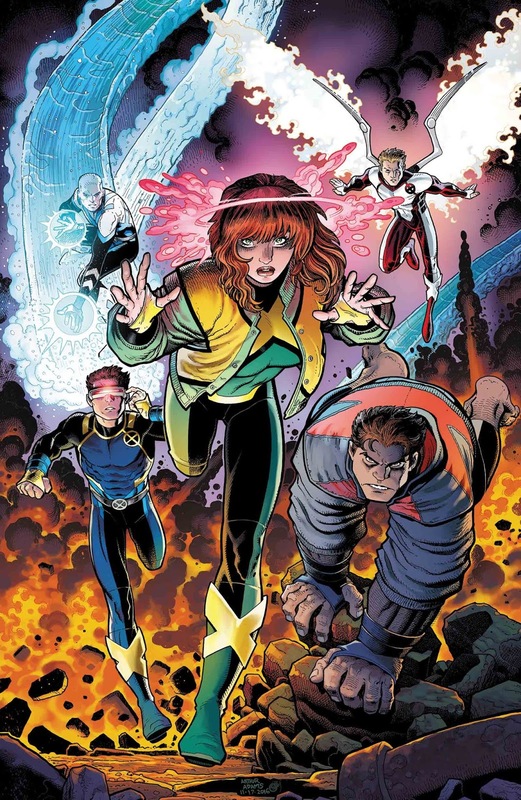 My all-time favorite X-Man Kitty Pryde leading the X-Men! One of my current favorite writers tackling the writing! I am beyond elated and can’t wait to pick up #1 & #2! It sounds like some return to the X-Men of the 80s with that roster. I think Guggenheim is perfectly tasked for the job! His work on Agents of S.H.I.E.L.D. was noteworthy and I love his work on the DCTV series. To see what he is going to be doing with the X-Men, and especially Kitty Pryde, is a dream come true. I am so ready for this and counting the days til the books come out. 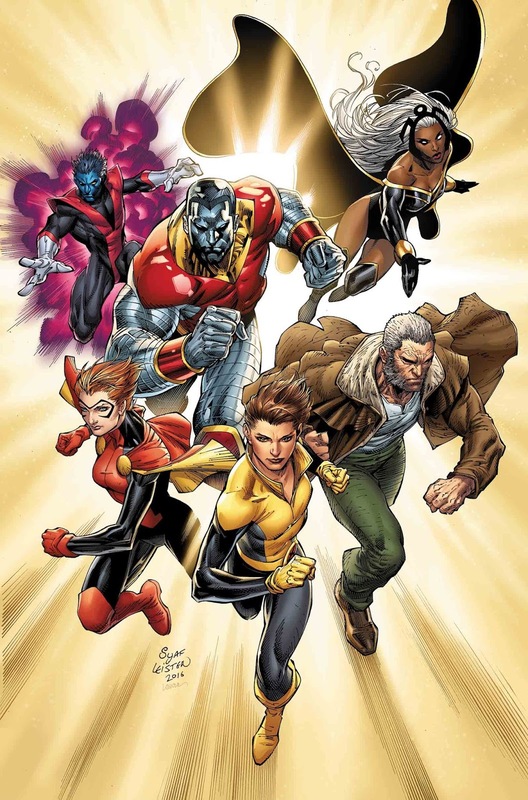 Blaise – The team on X-Men Gold is really exciting and fresh compared to the characters we’re used to. 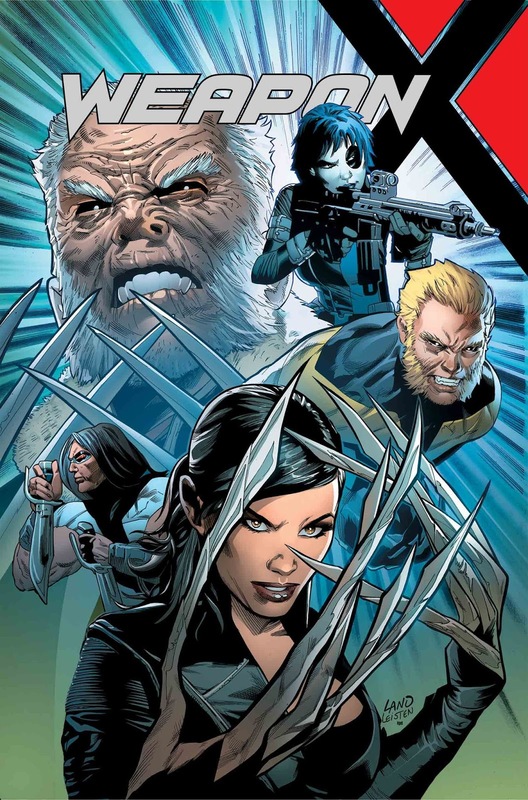 It will be fun to have Kitty continue to lead an X-Men team and see characters like Old Man Logan and Nightcrawler get more action with a group. Hopefully Guggenheim can do these characters a justice and deliver something special. Tatiana – I have the same cautious hope for this series, which I will at least start because I want to see Kitty Pryde lead a squad. I have less experience with Guggenheim’s comic book writing, though, so it’s a question mark for now. 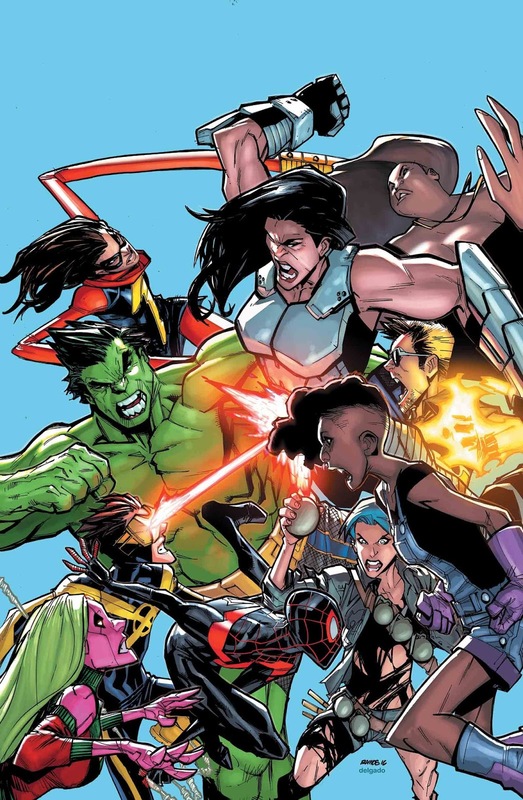 Jay – I really like this team it is like Giant-Sized X-Men meets Excalibur. I also love that Kitty is finally leading a team, and this team, since there is so much history between them all. I am not sure about Rachel’s name or costume, I miss her as Marvel girl. 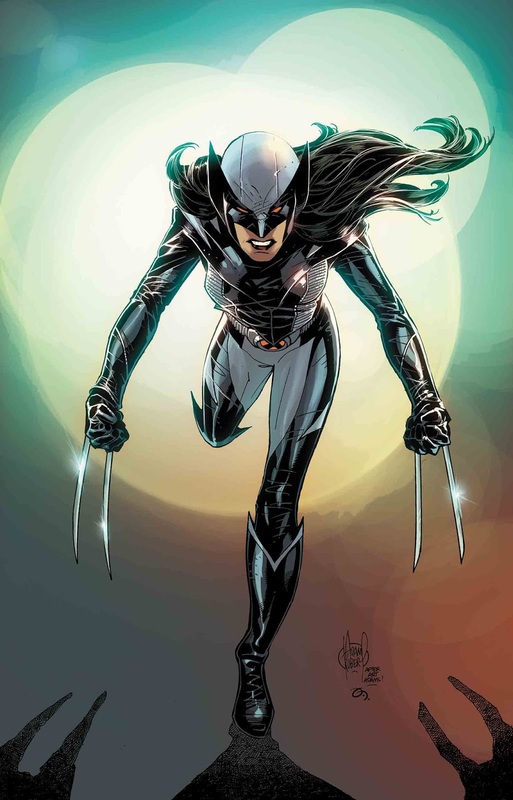 Blaise – I love this character and her journey so far, it’s been a really cool ride and I am excited to keep following Wolverine as she develops as a hero. Jay – This solicitation has me so interested . What are the two words? I love Tom Taylors writing so just this little tease has me anticipating it. Kat – I’m excited to see Marvel doing more stories with Weapon X. Maybe this series will introduce some interesting new characters. Jay – Weapon X has my attention now! Kat – I’m not a huge fan of Ben’s new costume, but I’m glad that his story will be continuing after The Clone Conspiracy. Tatiana – Despite not being a longtime fan of Spider-Man comics, I read through all of Clone Conspiracy and its tie-ins thus far. So it’s safe to say I’m invested in where Ben’s story might go! 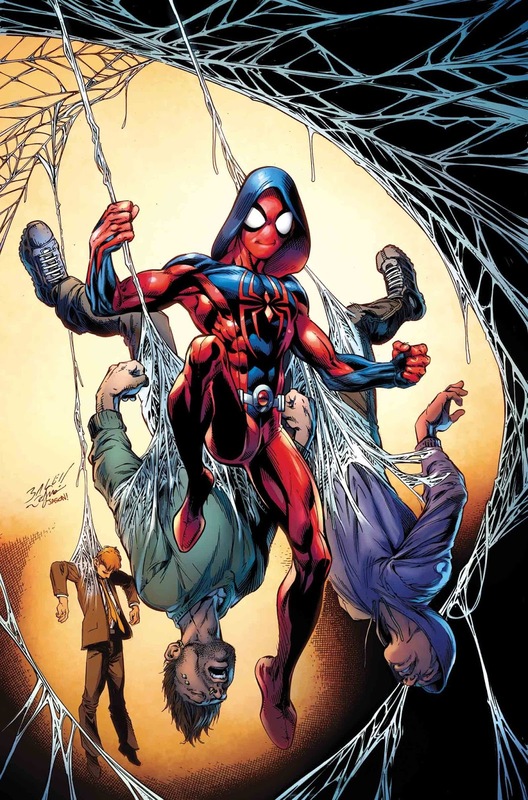 Jay – As a long time fan of Ben Reilly, one that likes him over Peter Parker himself, this solicitation has me scared but I am hoping and praying Peter David does my boy Ben justice! Tatiana – With all the chatter about the new Inhumans series coming later this year, I’ve got to brush up on my royal family knowledge. The biggest draw for me, though, is Jonboy Meyer’s art. I will follow that man wherever he wants to go. Tatiana – Cullen got me immediately interested in both Elsa Bloodstone and Kei Kawade after just one issue of the Monsters Unleashed event. Absolutely looking forward to a team up between the two of them. 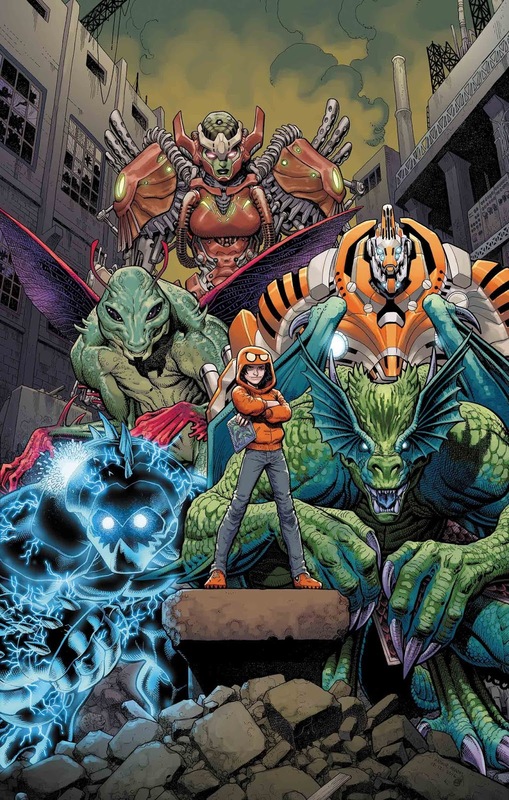 Jay – I think Kid Kaiju is an interesting new character looking forward to where the mini leaves off and the ongoing picks up! Jay – I am loving the Champions! I can not wait to check this issue out, each and every month I look forward to this book! 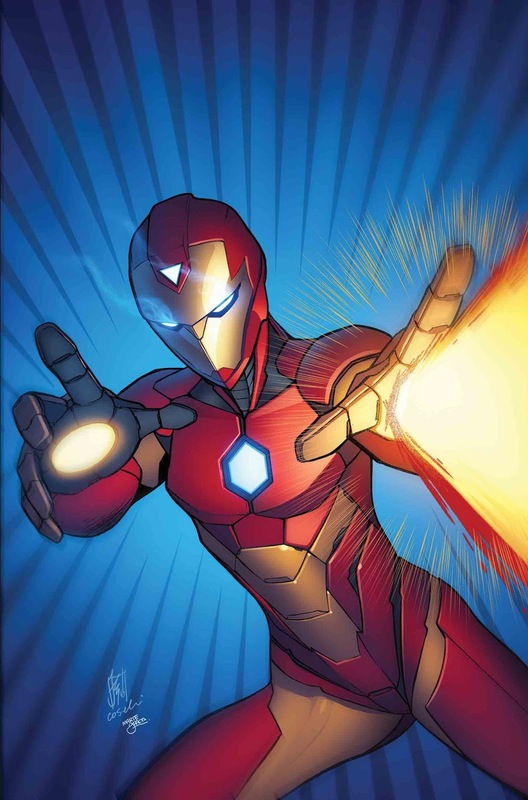 Kat – It looks like Brian Michael Bendis will be bringing some threads from the Ultimate Universe to his Infamous Iron Man series. He has already started to do this in Jessica Jones. 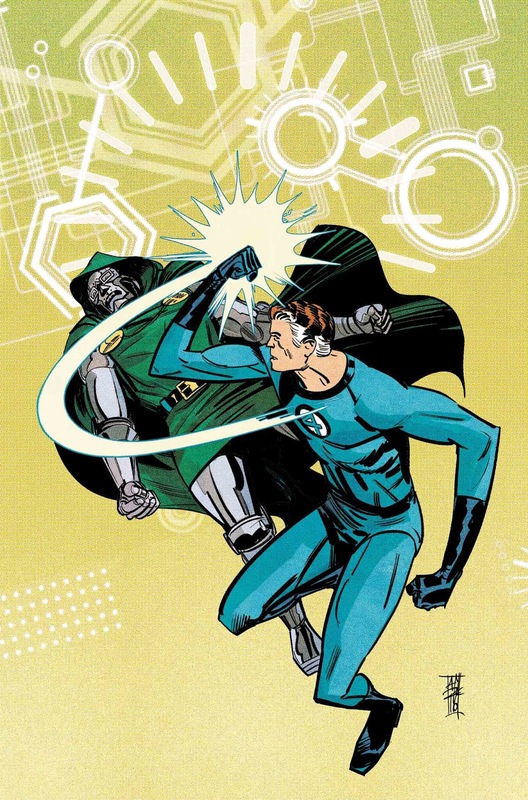 I’m very interested in seeing Doom as a hero and Reed as a villain come face-to-face in this issue. Jay – I look forward to this meeting The Maker meets Doom! Tatiana – I’m surprised Riri’s getting a potential boyfriend this early on, but I’m always up for a little romance! Not to mention that in the age of social media, public perception and “going viral” are way more important and serious than they sound. Kat – I might just get this comic book for the Kitty Pryde cover! Kat – I love the internal struggle Jen has to deal with in this series, and it looks like Jen is going to have to deal with it head on in this issue. Tatiana – The new series got off to a great start, thanks to Mariko Tamaki’s strong voice. Like Jennifer, though, I’m left wondering what the new Hulk is like because we haven’t seen all that much of her transformed yet. I have no doubt it’ll make for a great story. 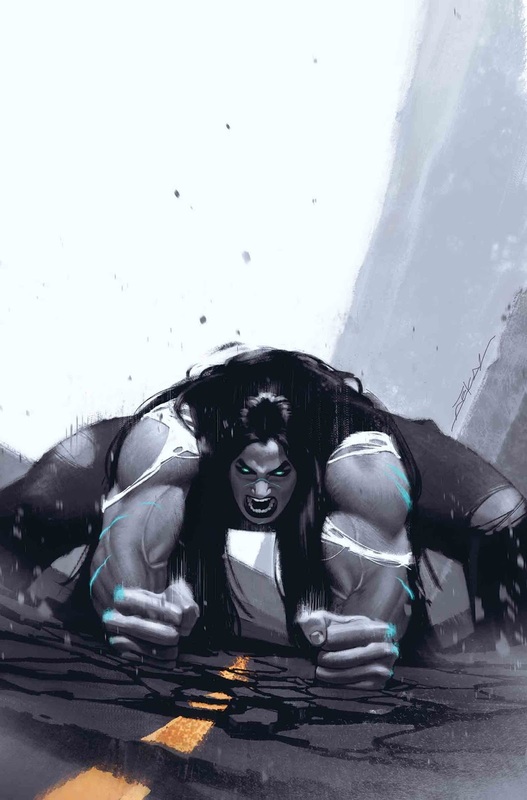 Jay – Looks like we may see Jen Hulk out here I can not wait! Kat – I’m glad to see Jane and Odinson interacting, and putting the phoenix force into this story may make this even more interesting. Jay – Now I am interested in this war! PHOENIX!